Revolution Conceal & Define Concealer: Is It As Good as Shape Tape? If you know me, you'll know I'm always on the hunt for the next best concealer and so when I heard all the hype about a certain new offering from Revolution, I had to give it a go. Touted as a dupe for the Queen of all concealers, Tarte's Shape Tape, Revolution's Conceal & Define concealer is available in a huge range of 18(!!) different shades in varying tones, and costs just £4. Yes, you read that right - just four quid will get you the concealer that everyone is talking about right now. 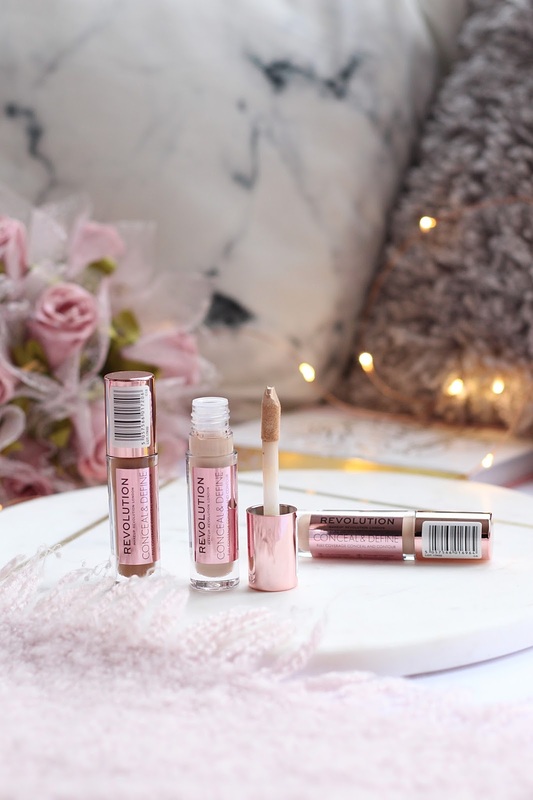 After seeing a multitude of YouTube beauty gurus raving about it, I hopped on over to the Superdrug website and purchased three of the concealers. Why three? Well, because I wasn't sure on my shade and also I wanted to get a darker colour for contouring, as this concealer is meant to be great for that too (hence the 'conceal AND define' name). I have to admit, the first thing I noticed when I received my concealers was how little product you get in them. They contain just 3.4ml of product, in comparison to Tarte Shape Tape, which has 10ml inside. However, Tarte's offering does cost a whopping £28 (+£3.95 P&P) so I think we can forgive Revolution for this. The applicator of the Revolution concealer is pretty much identical to Shape Tape's - both are a decent size with a spongy tip, and allow you to perfectly apply concealer under the eye. In terms of thickness and coverage the two are very similar: both are very thick yet easy to blend and give a gorgeous, brightening finish. Revolution definitely wins when it comes to colour range thanks to the 18 shades, against Tarte's poor offering of just six. I definitely think it's worth heading into the shop to take a look at the shades of the Revolution concealers - obviously as there are 18 to choose from it can be quite tricky deciding your shade just from looking online. Also, it's worth noting that whilst the shades start at C1-C18, with C1 being the lightest, they don't necessarily work in order of lightness. 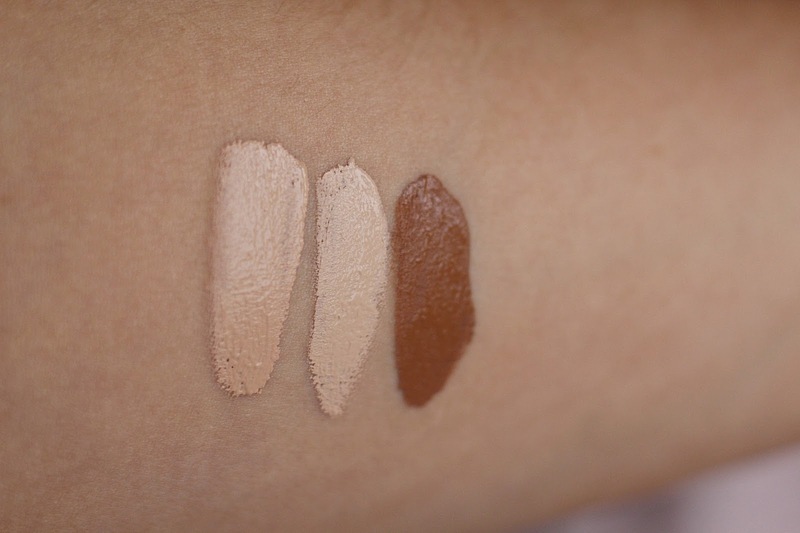 I picked up C5, C6 and C13 (for contouring) and swatched them in order below. As you can see, C5 is actually a fair bit warmer than C6, which I think is my perfect shade. It's worth bearing in mind that some of the shades are warmer toned whereas others are cool or neutral, so unless you know your skin tone I'd probably suggest taking a trip into the store and trying some shades out before buying. C13 is a really nice shade that I think is perfect for contouring - just bear in mind that a little goes a really long way! Whilst Revolution's concealer definitely wins in terms of shades, and is incredibly similar to Tarte's in terms of coverage and consistency, I do think that Tarte Shape Tape has the edge, just. I find I have to use a bit more powder with the Revolution concealer as it doesn't set as well and the coverage is not quite as good as Tarte's. 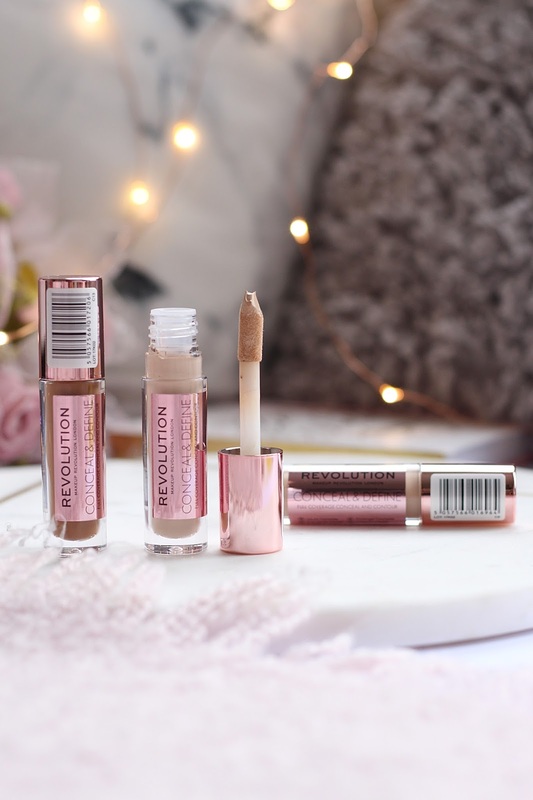 However, there really isn't a lot in it and when you consider the price and the ease of actually getting hold of these concealers Revolution's Conceal & Define is a much more affordable option. I definitely think if you're considering trying Shape Tape, try Conceal & Define first because chances are you will love it. I have been reaching for Conceal & Define for every day wear and then wearing Tarte's Shape Tape for nights out, but I doubt I will repurchase it once it runs out when there is a much cheaper alternative out there! If you'd like to see the concealer in action, I recorded a little video of me testing it out in comparison to the Shape Tape here. Have you tried the new Revolution concealer? Let me know what you think!